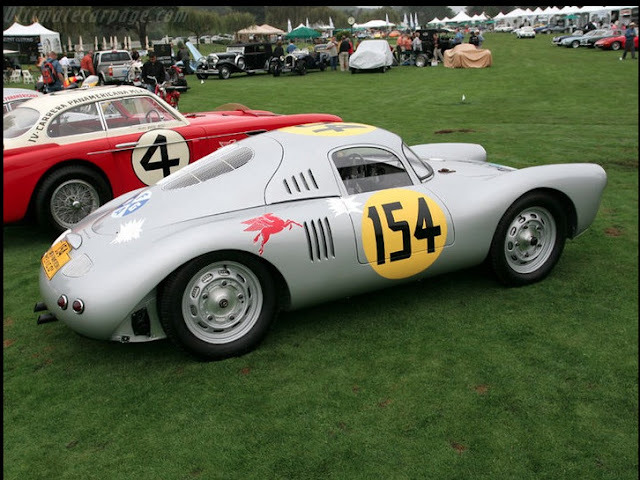 Porsche's purpose built 1953 aerodynamic racing rocket, the 550-01 was powered by a 1498 cc mid-engine. 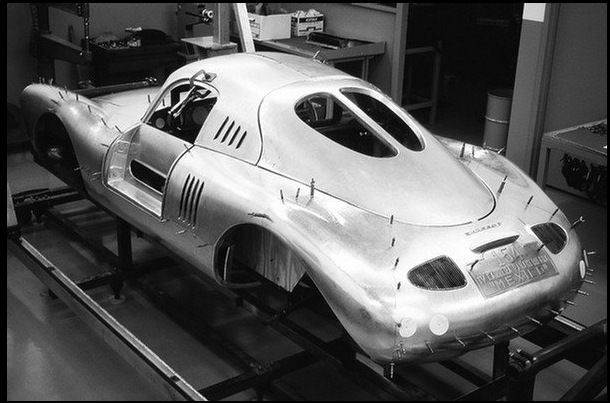 This iconic road racing car is currently on loan to the High Museum in Atlanta and is featured in their exhibit, The Allure of the Automobile. 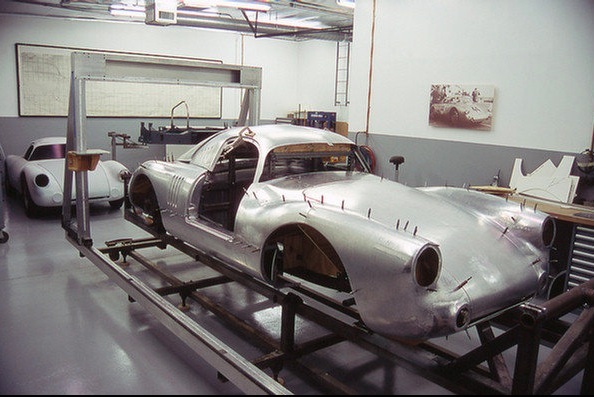 The Porsche 550 Prototype is the first of two 550 prototypes built and is the first race car built by Porsche. 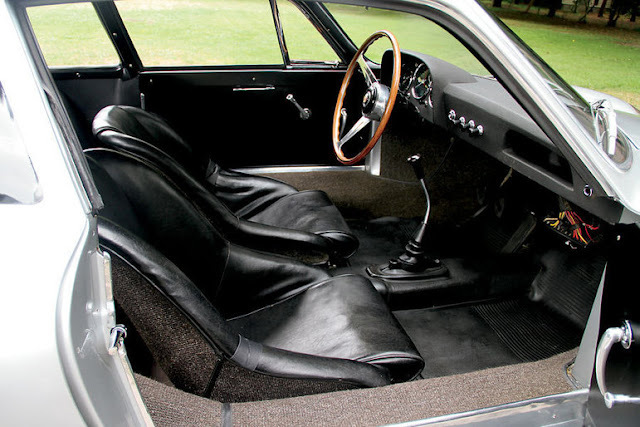 The company’s wild success in the racing arena, and resulting sports car market, began with this car. 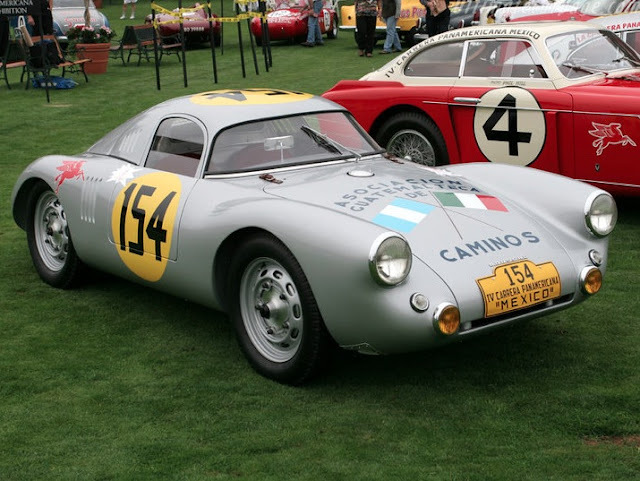 The first 550 completed for competition in 1953, after just a year of development which started in 1952, won in it’s initial outing. 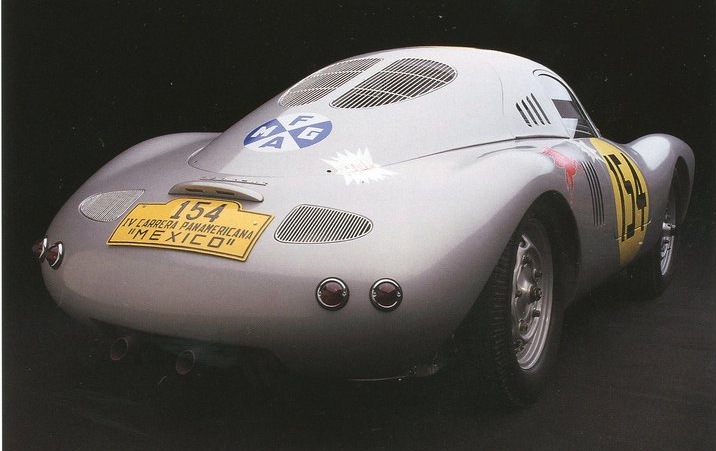 That same year, the two Porsche 550 Prototypes, 550-01 and 550-02, ran neck and neck for the entire 24 hours of Le Mans, crossing the finish line at the same interval at which they had started. Le Mans scoring officials awarded the win to 550-02. The end of the racing season brought a relocation for the cars to Mexico where they raced in the 1954 La Carrera Panamericana. 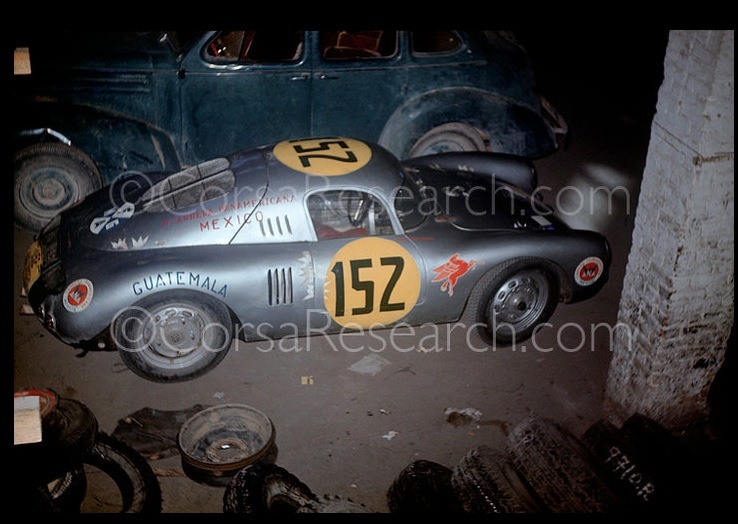 After that, the cars vanished with only 550-01 resurfacing years later in a Mexican warehouse. You may have never heard of Carl-Gunnar Hammarlund, a quiet Swede nicknamed “CeGe.” He was well-known for hosting a long-running (1956-1970) program on Swedish Public Radio about cars and driving safety, a subject taken quite seriously in Scandinavia. But he was known for something else, too: speed. To say Hammarlund was successful as a racer would be an understatement. 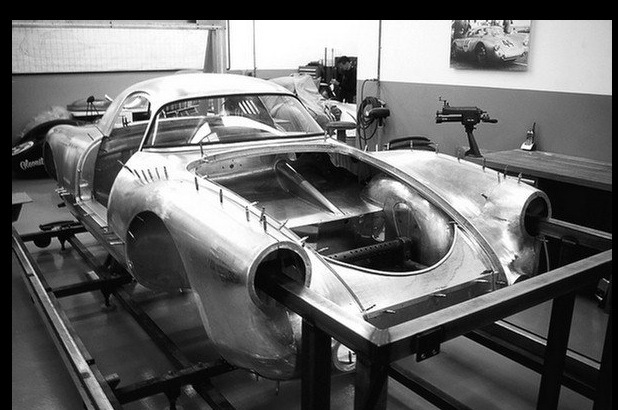 Consider his record in 1961 and 1962, as noted by Swedish racing enthusiast and historian Tomas Karlson: Eleven GT starts, eleven wins, and two Swedish national GT championships. 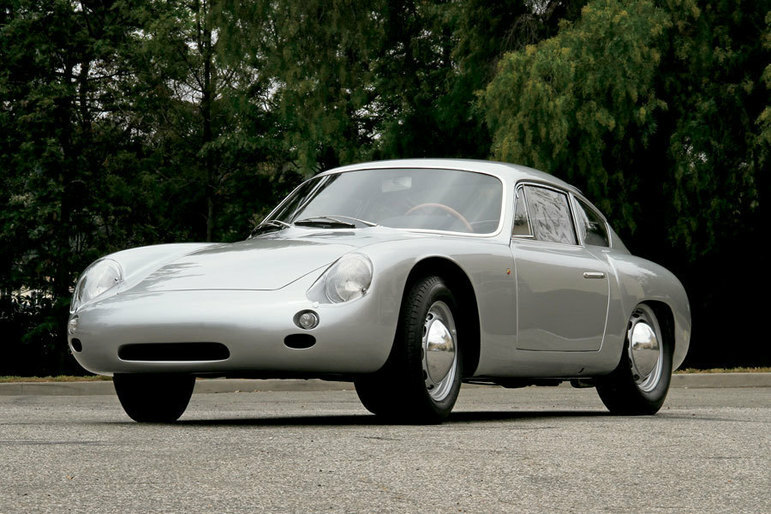 His weapon for all those wins: this rare 356B Carrera Abarth GTL. Though Hammarlund drove for Swedish VW/Porsche importer ScaniaBilar in his spare time, his main job was to run the public relations office at the Swedish arm of British Petroleum, according to Swedish automotive magazine Racing. He first wet his competitive feet in 1949, hillclimbing at Alby with a home-built, American-style midget with Ford V8-60 power; he posted top time. He then entered trials and rallies as part of Scania’s Volkswagen team. It was at this point that he met a rather talented mechanic named Willy Dolling. “Because of my knowledge of VW and Porsche motors, I was asked by CeGe in April of 1953 if I could prepare and maintain his racing cars,” says Dolling, now 80 years old and retired in Stockholm. 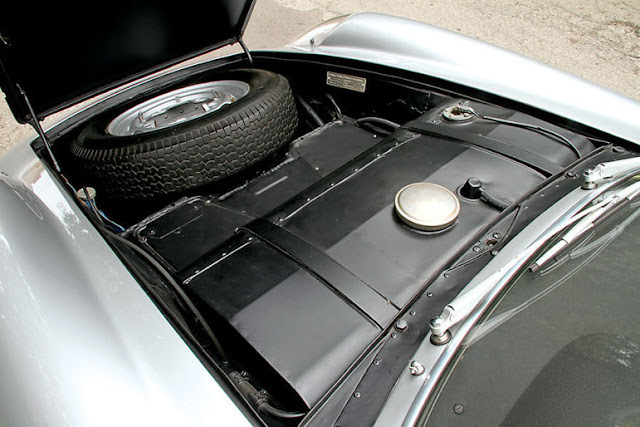 With the help of Dolling, Hammarlund and Erik Petterssen co-drove a brand-new, Dolling-prepared 356 Carrera coupe to an overall win in the 1954 International Swedish Rally, also known as the Rally to the Midnight Sun. 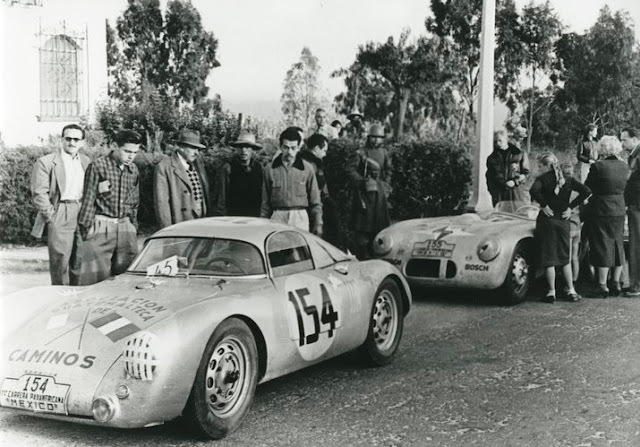 Hammarlund and his Porsches were quickly established as the favorites, no matter where they appeared. “Between 1954 and 1959, CeGe competed in 28 races throughout Europe,” recalls Dolling. “Of these, he won 26, came second in one, and fourth in another. 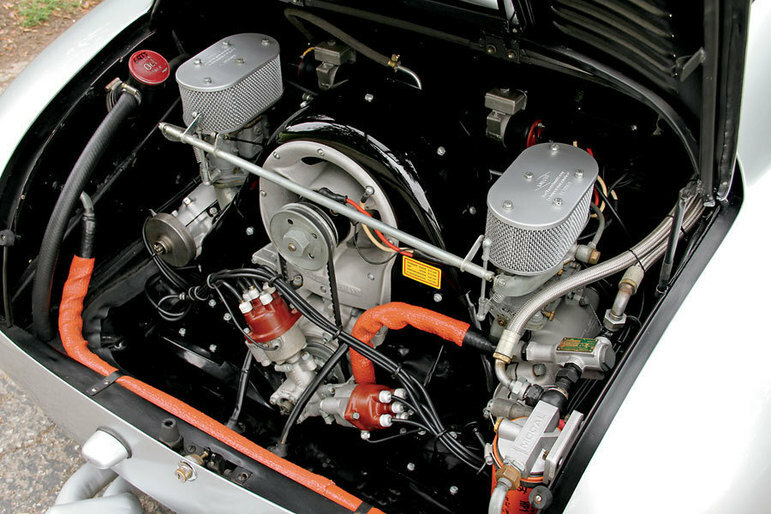 In 1959, a Scandinavian Grand Touring championship was created with seven races per year. CeGe won every one of these races every year up to and including 1962.” Hammarlund’s talents were not limited to Porsches. He co-drove a Ferrari 375MM with Allan Borgefors to a good placing in the 1000km 1956 Swedish Grand Prix for sports cars, right behind the factory entries. He also had several rides in a Maserati 450S. 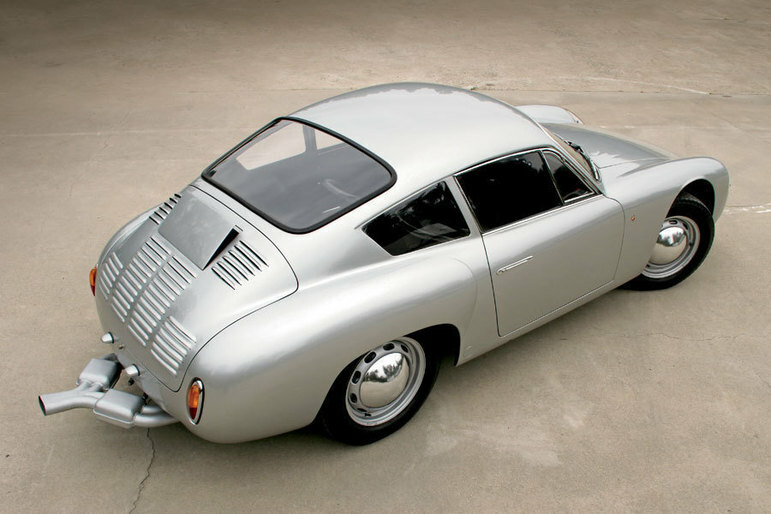 Even so, some of his most memorable successes came in Porsches. He won the GT class with his 356 Carrera at West Germany’s Avus Ring on September 16, 1956, the same day Porsche factory driver Richard von Frankenberg survived his famous crash in the “Mickey Maus” RS 1500 Spyder, which saw von Frankenberg leave the track at the top of the high banking. 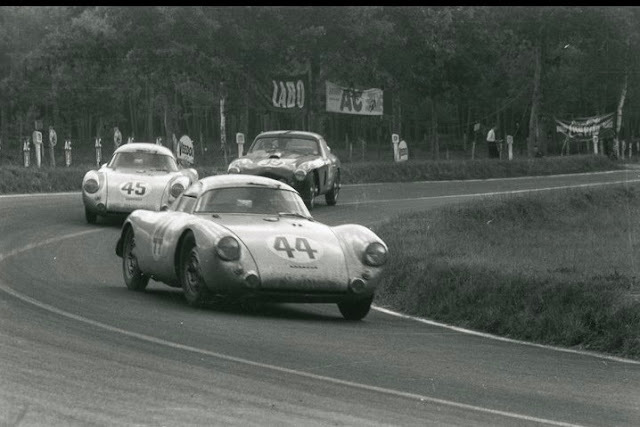 Hammarlund also claimed a GT win at 1958’s Grand Prix of Sweden, a few years before he moved on to greater success with the Abarth Carrera GTL. 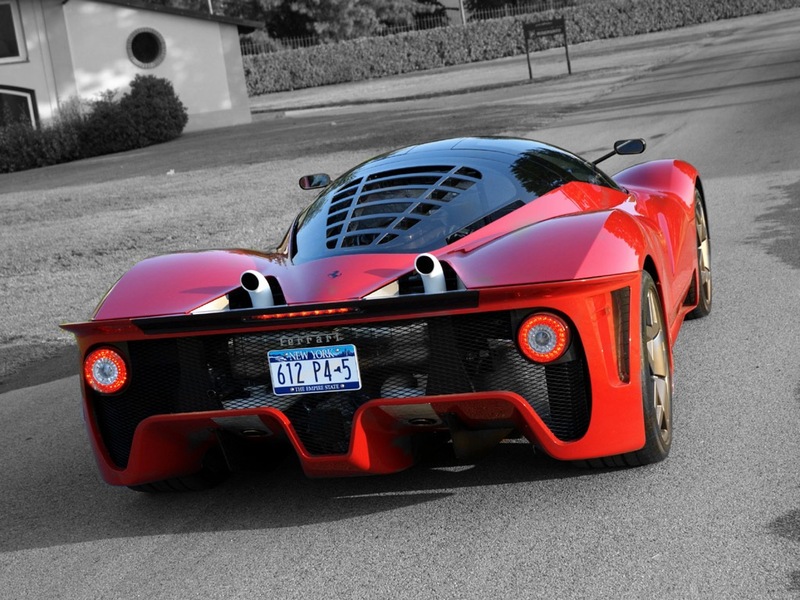 The Beast of Turin: For about four million bucks, a famed Italian design studio turns out a one-of-a-kind super-Enzo. When people first see it, they have a moment of confusion, because it's challenging to look at. 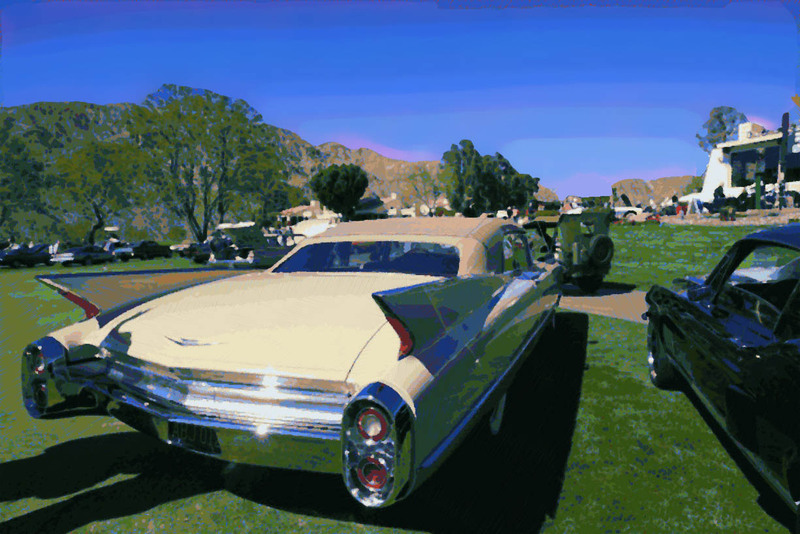 But we wanted to create a piece of art, something timeless, so that you appreciate it more the longer you look at it." Jason also styled the new Ferrari 599. He's working exactly where he wants to be. Next, Ken Okuyama, the design director of Pininfarina. Ken is an engaging, magnetic character, who speaks with great intelligence and intense humour. 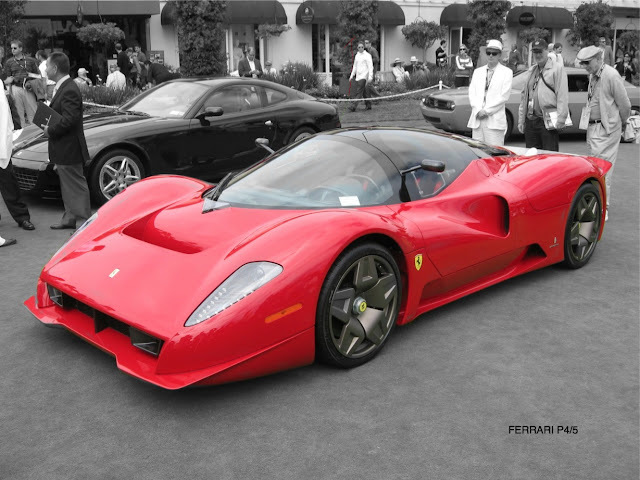 "The thing about Pininfarina," says Ken, "is that the company lets you, as a designer, take credit for what you've done. You sign the sketches. It's why I joined - you don't get that so much in big corporations. "There is something in the air here. You can feel it, like you can at Oxford or any other great university. Though the people change, the same atmosphere remains." Ken has given his understudy Jason the space to express himself clearly with this car, helping with some guidance on occasion, but not interfering. 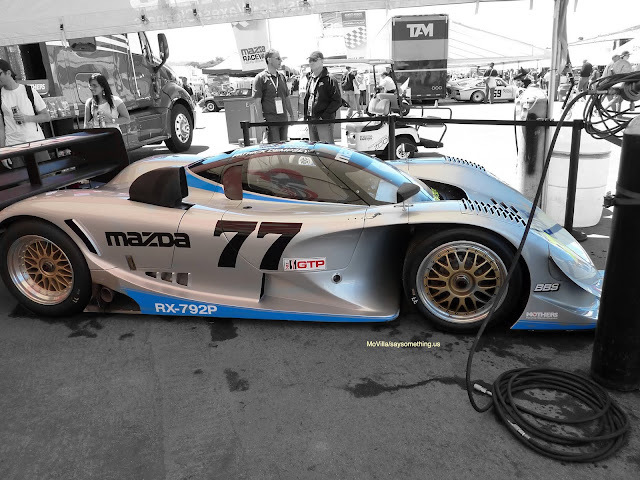 On the heels of the 1991 GTO championship, Mazda decided to move to the very pinnacle of North American sportscar racing, the IMSA GTP. RX-792Ps showed well in the series that year, never reaching the top step of the podium, tough. 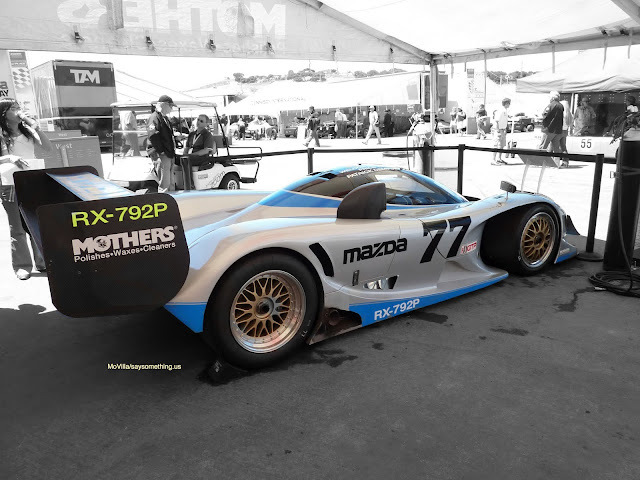 Even tough it never won a race, the RX-792P was by far the most spectacular looking of the wild factory-supported GTP cars.